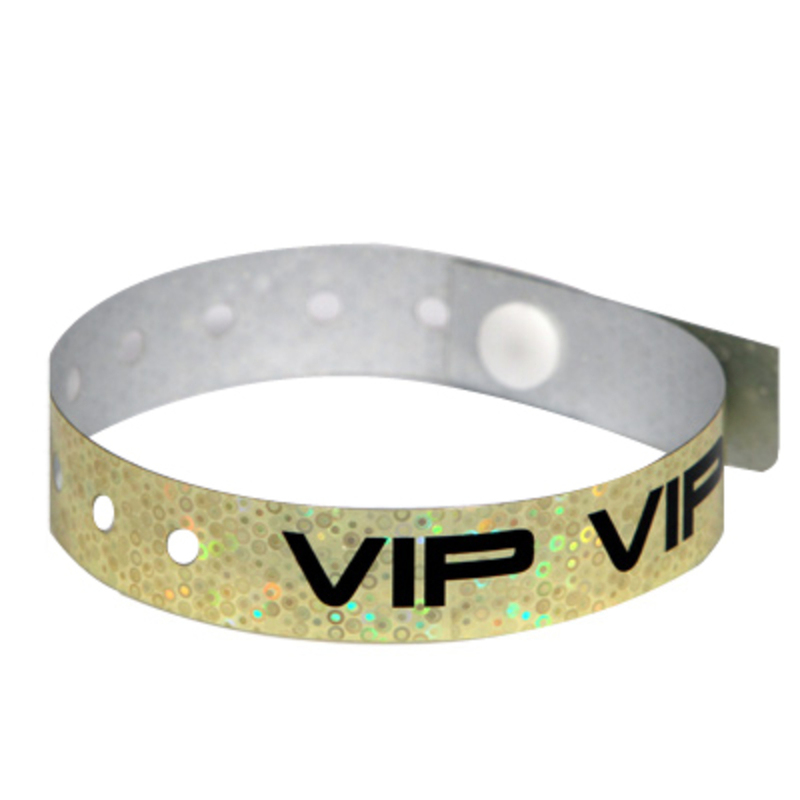 VIP wristbands are the most popular custom printed wristbands we sell. Order in packs of 100 or boxes of 500. Order before 2pm ET / 11am PT and your Gold holographic wristbands with V.I.P. printed on them will ship on the same day.